Susanna Kearsley shared insights on what she called twin-stranded – or dual timeline – stories at #HNS2017 in Portland, Oregon. 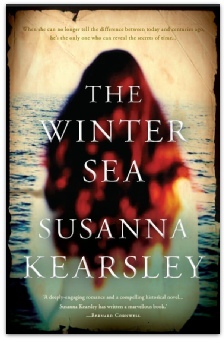 I remember reading Kearsley’s novel, The Winter Sea, a number of years ago and being enchanted by the story of an author writing about her long ago ancestors and suddenly finding herself transported back into the very time and setting of her novel. Having written my own dual-timeline story – Time and Regret – this was definitely a session I wanted to attend. Kearsley feels this type of story is an “easier entry point for readers into historical fiction” because of the way it uses the present day to explain some of the history. Another feature of these novels is the ability to use foreshadowing to create suspense for the storyline set in the past. An author can also cut from one thread to another at a suspenseful moment – thus extending the suspense until returning to the earlier thread. Kearsley used the image of a river and a boat to describe how she works her twin-stranded stories. The past is usually the river having more power, suspense and action while the present-day story is the boat bobbing along the river. Keeping readers oriented in both stories and avoiding confusion is critical. When developing her novels, Susanna mirrors one story with the other in terms of themes although her characters often make different choices when faced with similar circumstances which allows her – and her readers – to explore these themes more deeply. Helpfully, Susanna provided us with a handout. One section called Making the Switch: Techniques is a description of seven ways to switch from one storyline to the other. The second section of the handout offered novels and films illustrating six types of twin-stranded stories. The audience paid close attention throughout the session – with more than fifty in attendance I suspect we’ll soon be seeing more twin-stranded stories! At the airport on Sunday, I discovered Susanna Kearsley waiting for the same flight back to Toronto and we had a lovely time talking about writing and historical fiction. For further thoughts on twin-stranded or dual-timeline stories, have a look at The Mapmaker’s Children – A Dual Timeline Mystery or 8 Tips on Writing Dual Timeline Mysteries. 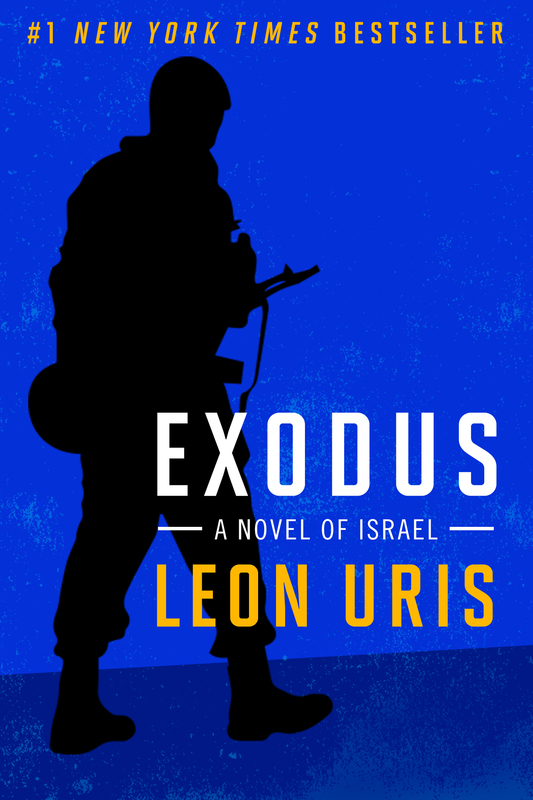 I read Leon Uris compulsively in the 70s, devouring Exodus, Mila 18, Armageddon, Trinity, QB VII and others. I loved his compelling narratives and intense pacing as well as his heroic yet flawed characters. I appreciated the way he related pivotal moments in contemporary history such as the founding of the State of Israel, World War Two, and the Cold War. His books were – and are – ‘unputdownable’ stories. So I was more than delighted when approached by Trident Media Group, a leading literary agency, to participate in their efforts to celebrate Uris’s work alongside the publication of new editions of eight of his novels in e-book format. Almost all of Uris’s subsequent novels were bestsellers, with his 1967 novel TOPAZ adapted for the screen and directed by Alfred Hitchcock. The author passed away in 2003 at the age of 78. Trident Media Group is offering 5 free copies of Exodus and you could be one of the lucky winners! Enter the contest by sending me an email mktod[at]bell[dot]net or by adding a comment to this post, to my Facebook page, or on Twitter specifically mentioning the giveaway. To whet your appetite, here’s the first chapter of Exodus. And you can find out more about Leon Uris on this Facebook page.